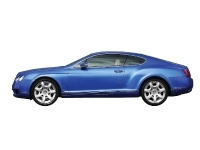 Bentley’s unbeatable luxury is only matched by its refined and ample power. From the moment you set your eyes on a Bentley, you know it’s a special machine. That’s why Fabspeed has crafted aftermarket performance parts tuned specifically for the Bentley. Our precision engineering compliments the unrivaled elegance of the Bentley brand, and takes an already unrivaled machine to the next level.